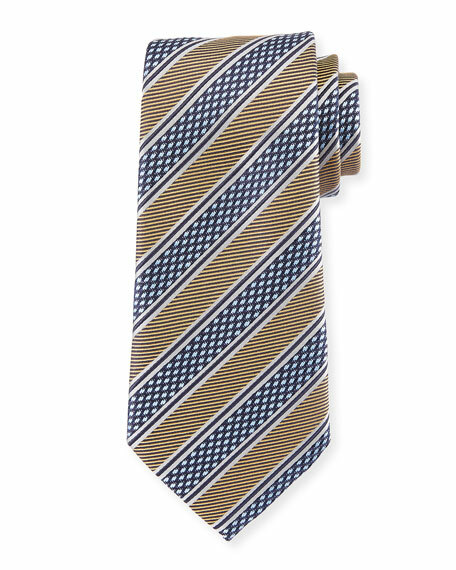 Ermenegildo Zegna tie featuring diamond stripe motif. Canali tie in circle medallion pattern. Greater than 3" wide. Silk. Made in Italy. Canali tie in connected medallions pattern. Greater than 3" at widest. Silk. Made in Italy. EXCLUSIVELY AT NEIMAN MARCUS Ermenegildo Zegna tie in graphic detail. Greater than 3" wide. Silk. Made in Italy.